3D Rendering has always interested me, but I’ve never taken the time to mess around with it much. When I was a kid I used to do stuff like this in Basic. But I didn’t know trig or other similar functions so I was left to basic math and the random functions. Here is a little turtle program (python) that will make a wrinkled fabric type display. Hi, this is Eli. One of our school assignments is to completely learn our math tables by heart. We wrote a python program to help us practice with this. This is a program for multiplication tables 1-12. Ezra and I are learning how to program in python. Dad helped us get the structure of this program right, but we entered into IDLE and debugged it ourselves. 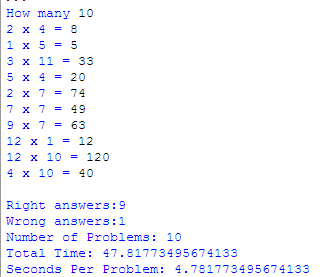 When you activate the program it asks you how many problems you want – you can go from 1 to 144 problems. When you are done with your problems it tells you how long you took and how many problems you got right and how many problems you got right and how long it took you to answer each problem. I highly recommend reading this excellent writeup on Python super(), python __mro__, python attributes, and more. 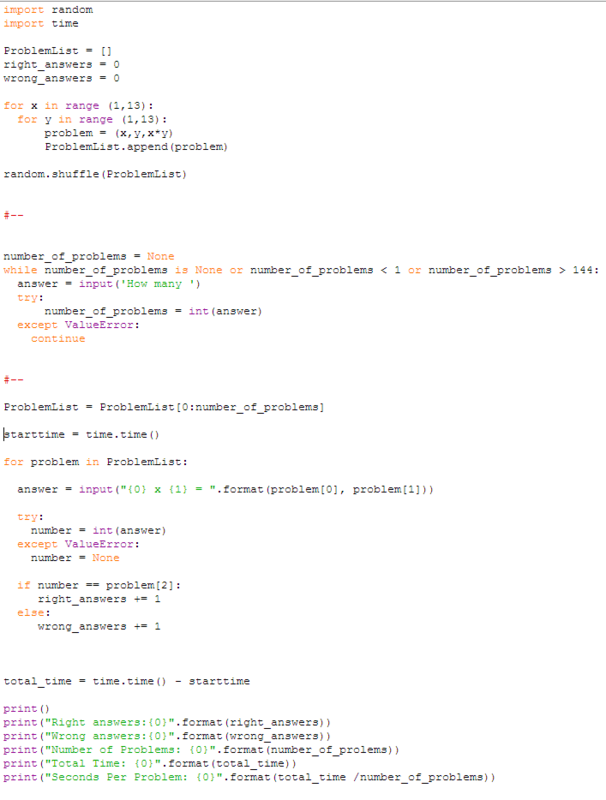 Python 3 bytes indexing returns integers! While converting a bunch of werkzeug code to Python 3.1, I ran into an issue with one of the bytes objects that was previously a string. However, as it turns out, the bytes object is actually a list of integers in the range of 0-255. Python has keyword only parameters! Little did I know (was wishing for it today), but there IS a way to specify that arguments MUST be keyword only. In this case, everything after the * is required to be keyword only. This means that you can safely amend the function definition to re-order or even add keyword arguments. Likewise, the following requires ALL keyword arguments.